Overview... one of five faction leaders who rule over a dystopian version of Chicago. Each faction is sorted by personality type and Jeanine leads Erudite, which is home to the smartest, most intellectual members of society. 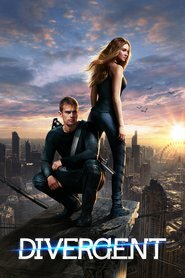 Jeanine believes that Erudite’s intense intelligence makes them uniquely suited for leadership so she hatches a plan to overthrow the other factions and rule the city herself. Personality... cold, cunning, and ruthless. Jeanine’s analytical mind has made her detached from empathy and emotion. She sees the world as one large problem to be solved. She has little concern for the people she may hurt in her coup d'etat because she can always justify her actions as being for the “greater good.” However, Jeanine’s also intensely curious and can sometimes lose sight of her larger goals when there’s a particularly tricky problem to be solved. Jeanine Matthews's popularity ranking on CharacTour is #1490 out of 5,000+ characters. See our top-ranked characters and read their profiles.